Manage your inbox the simple way with Mail Inbox for Google, for free! 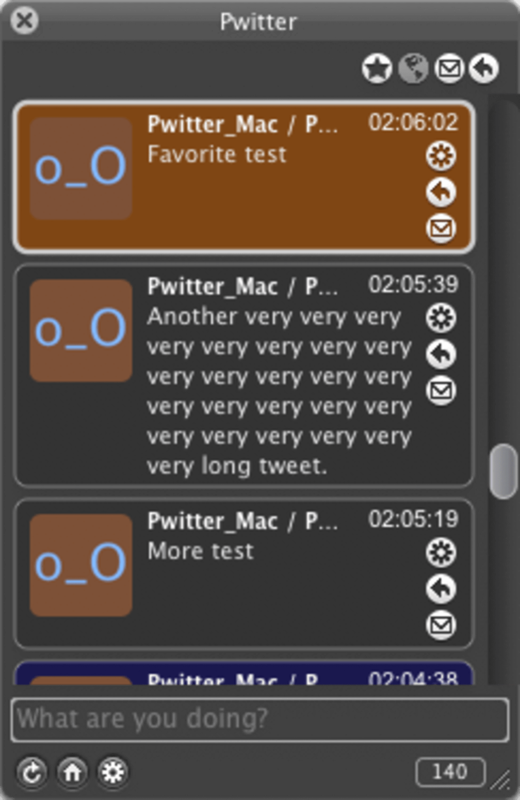 Pwitter is a simple and secure Twitter client built on Cocoa. 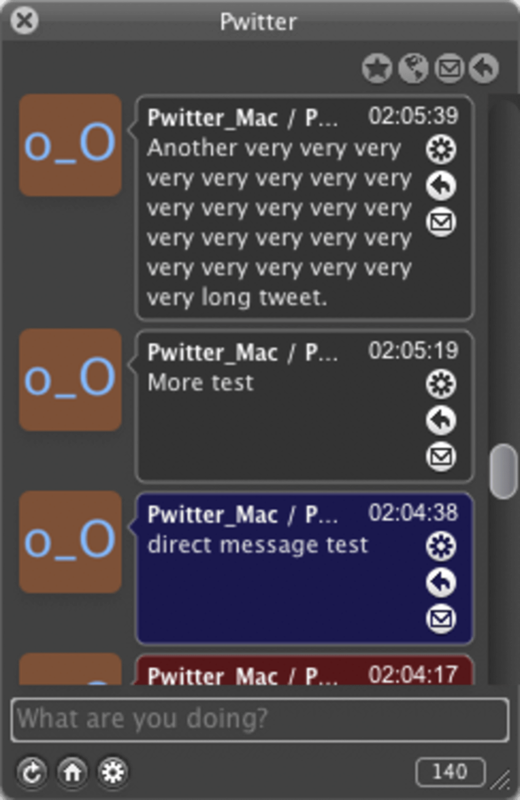 It's not exactly the most elegant Twitter client about but it does have some interesting features. To get started, sign up for a Twitter account and then just enter your Twitter username and password and the tweets you're following will be displayed in the main window. You can easily contact other Twitter users directly by clicking on the small messaging icons (as long as the other user allows direct replies from you). All the general Twitter actions are covered, including download status updates, post statuses, post replies, send direct messages, etc. Pwitter is also a very secure Twitter client since it uses https to encrypt messages. There are a lot of customization options, although it would have been nice to have been able to change the skin of the main interface. You can access Pwitter either from your Dock or Menubar and perhaps the only thing you can't configure is the alert sound for new tweets. 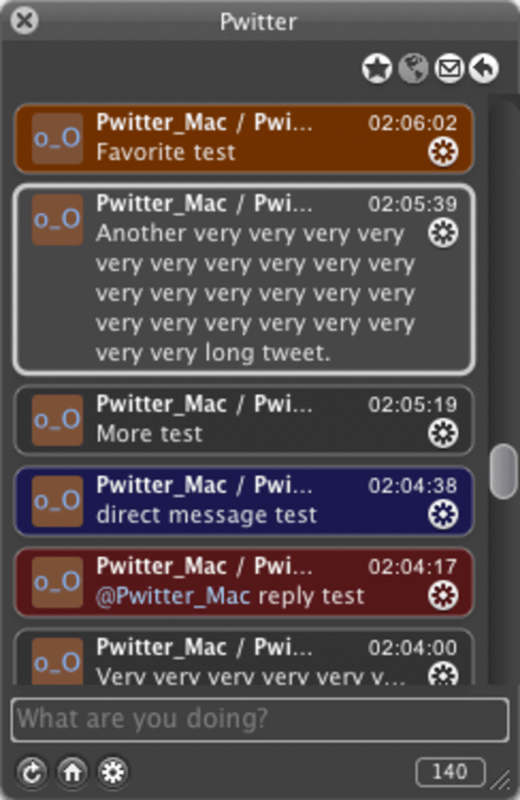 Pwitter is a secure and fast Twitter client although it's a shame the interface isn't better looking. 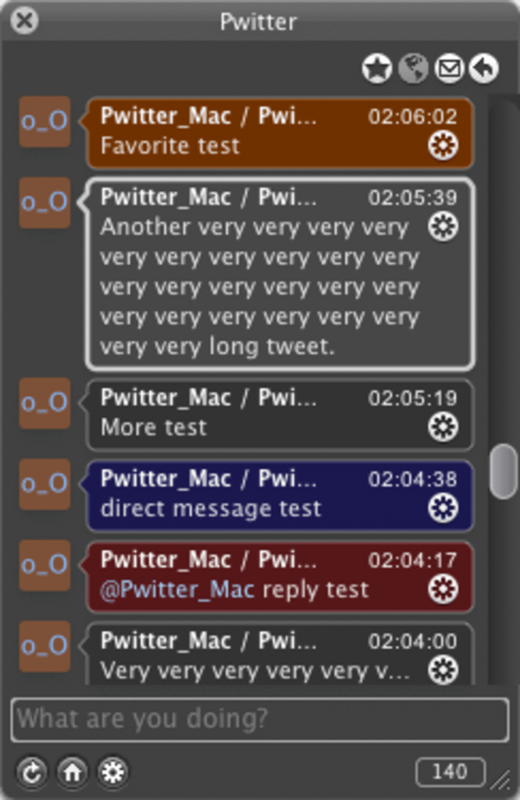 What do you think about Pwitter? Do you recommend it? Why?